Eelam Revolutionalry Organization of Students (EROS), a Tamil militant group, contested the 1989 general election held in the north and east provinces soon after the signing of Indo–Sri Lanka Peace Accord and won eleven parliamentary seats. Mr.Ratnarajah was elected in that group. He was the parliament group leader of the EROS group in parliament during that period. 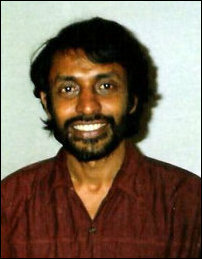 Ratnarajah was born on 25th of March 1952 in Trincomalee. He joined the EROS in the late 70s, and was appointed as the leader of Student Wing later.